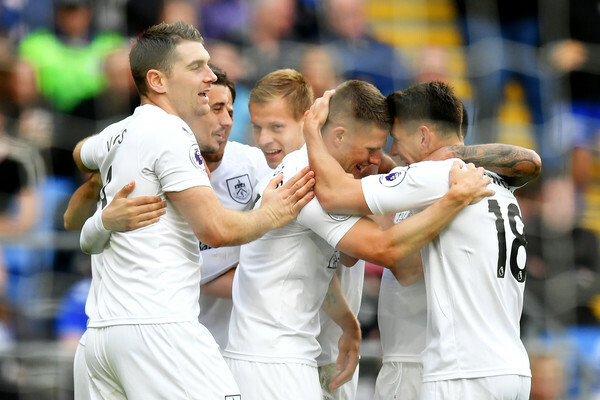 Burnley beat Cardiff away from home last Sunday, great result for last season's surprise package and it's a great opportunity to build on that result with a game against a very beatable Huddersfield. The Clarets were patient and resolute against the Bluebirds, they waited for an opportunity and they didn't let it slip once it came. The idea of leaving Ashley Barnes on the bench for the Cardiff game bemused many, but Sam Vokes made sure they didn't have to pay for it. Huddersfield lost again last weekend, for the fifth time in seven games and they have every reason to be worried, they didn't offer too much resistance to Spurs in their 2-0 reverse and even had to give away a very cheeky penalty; beyond their inability to score goals which they already know is a problem, they also have problems shutting their doors, they concede needless goals and at this rate, they will be seeing championship football next season. It's about results but it would be unfair to hand David Wagner the sack letter, the German can do very little about the quality of his team, he can only work with the materials on ground; Sean Dyche will look to heap more misery on the guy in the opposing dugout and it will be a huge surprise if the Terriers get out of Turf Moor with anything at all. Statistics doesn't even favor the Terriers, they played out a goalless draw in both legs last season but the Clarets have won the three that preceded those two stalemates.